The System Board is simply a small climbing wall outfitted with regularly spaced matched pair of holds. Although anything from 2 pair to 10 pairs are common, most companies providing packages of these holds sell them in sets of 6-8. More critical than cool tiles, however, is to set them up with feet that are spaced the same as the holds. You’ve got to be able to replicate exact left and right moves for 1-2 moves each side to get much out of the board. 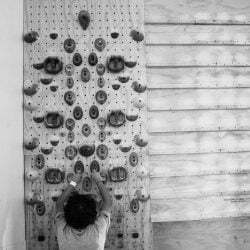 This board is a great addition to a climbing gym, or can function as an all-in-one home gym. Yes, it’s boring. Yes, it is limited. However, it produces real results and helps shore up weak kinetic links. We use this tool to address problems with core tension, awkward joint angles, and difficult body positions. The system board can also be used to develop finger strength, upper body strength, and even endurance. The major benefit of system training is to eliminate weak movement patterns and create bilateral strength. These are two major problems with a “just climb” mentality in the gym. When training on gym routes or problems, we just don’t balance the loads to the left and right limbs – it would be impossible to boulder symmetrically. The problem is exacerbated when we set our own problems. Whether we mean to or not, we’ll adapt climbing around our weaknesses. With system training, we force full range of motion and clean movements to help shore up these weaknesses. System sessions are usually designed much like a weight training session: we do repeated efforts on specific exercises, build a progression of difficulty over several sessions, and work toward overloading specific systems to elicit desired gains. The major result of a dedicated system program is an improvement in upper body strength and in our ability to hold core tension. By using smaller holds on the wall, we can develop functional finger strength slightly better than we can with a hangboard. By using the bigger holds, we can develop strength and power in the bigger muscles of the upper body. The wall also lets us force hard upper body moves and awkward body positions. By repeating these in the normal system-set format, the body more quickly adapts to these movement patterns. Random learning through sheer volume of climbing just takes too long, especially if you’ve built bad motor patterns to begin with..
A system wall can be as simple or complex as you like. I am a big fan of small, simple boards since they help keep you focused and they seem to produce results just as well as bigger ones. A minimum board size is probably a 4×8 sheet of plywood, with T-nuts drilled in a 4″ grid. If you can go to 10 feet in length, it’s even better. The wall needs to be overhanging. If it is too vertical, there is not enough overload on the big muscles of the upper body. If it’s too steep, the angle necessitates the use of large holds for every exercise. The ideal angle for a system wall seems to be between 20 and 35 degrees overhanging. You’ll need a variety of holds, but these are frequently available in big, do-it-all system holds, too. Although system holds are more compact and economically a good idea, we still haven’t found one we absolutely love. The Revolution tiles are nice, and take up a small footprint. I think the Pusher tiles are turds, but their system feet are decent. At the bare minimum, you’ll need six jugs, six large edges, and a couple of “rest ” jugs in the center of the wall. Additionally, you need to place several footholds at the base of the wall, in a symmetric pattern. You want to be able to do the exact same movements left and right, so pairs or sets of identical footholds are critical. Again, the footholds should be placed in relation to the handholds so that vertical movement is patterned the same for two to three moves. 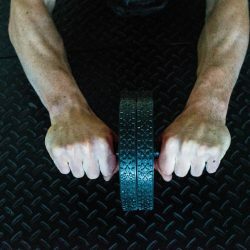 The strength sessions you’ll do in on the systems wall don’t really work unless you do them in a regular and progressive way over the course of several weeks. Like flossing your teeth, occasional just doesn’t work. The whole key to this type of training is doing the same exercises until you bump your ability. So when do you want to do systems work? We like to do it anytime there is a clear limiter or weakness that shows itself in a climber. It doesn’t matter what phase or season you’re in – if you have a big limiter, you have to take care of it for anything else to progress. Ultimately, we’d do systems work in a strength or power training phase. The phases we usually program are 6 to 8 weeks in length, which is an appropriate amount of time to expect positive changes in a strength component. During strength and power phases, we do systems 2 to 3 times per week. During other times of the year, once a week can really help you maintain upper body strength and quality of movement. In general we’ll lay down one or two workouts to be repeated and intensified regularly (each week) for 4 weeks. After 4 weeks, we change the template, and continue to the end of the phase. Undoubtedly, this training can be tedious. You should plan to keep the sessions short and focused on just a few movements. Look for progression in these few movements, not an overall feeling of fatigue. 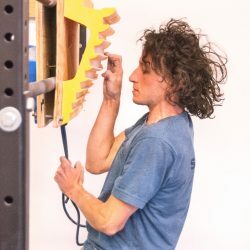 Climbing coach Neil Gresham talks about three pillars of good climbing movement, all of which can be mastered with a good system board training plan. With this in mind, I’ll lay down the golden rule of training for climbing: always focus on technical correctness – perfect movement. By making small adjustments to form and keeping the sets short, the climber using a systems wall has the ideal opportunity to fix errors. Finally, when planning a system board training program, remember that building the same workouts up over a 4-6 week block is the only way to see clear progress. Occasional system board work is no more effective than simply going bouldering. We loosely categorize the exercises into three general types: Body Position, Strength and Power, and Power Endurance. I’ve listed these all out below, and we’ll be adding videos to the members’ section that detail each of these. 2-3 days per week. 2-3 skills, 4 sets each. 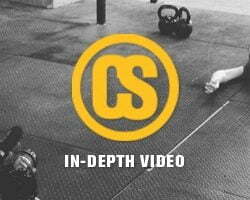 10-15 seconds per set with 3x rest. 2 days per week. 4-6 exercises, 5 sets each. 2-3 moves per side or 8-12 seconds with 3-5x rest. Up to 4 days per week, details with each exercise. timed statics (MOVE – HOLD FOR TIME – MOVE – HOLD FOR TIME): start with 3 sets of 3 moves per side, 5 second pauses. Rest 2-3 minutes between sets. 2-3 exercises per session. static dynamics (2 REPS / 10S PAUSE. REPEAT 3-10 MIN) Start with 2 exercises, 1 set each with 5-10 minutes between.